Over at Quartz, reporter Nikhil Sonnad has splayed out the history of Wikipedia’s page on happiness, the emotion one feels when watching Deadwood or telling visibly irritated people even more about the video game Bloodborne. Despite the ease with which some of us can explain this concept, it turns out to be very difficult for philosophers and editors to pin down, and the eagerness of random Wikipedians to define happiness as things like “eggs eggs eggs eggs eggs” has not helped. Thus the relatively unsexy subject (compared to most-edited all-stars like George W. Bush and The Undertaker) has birthed a 6,000-edit monster of an entry that reveals Wikipedia’s workings in fascinating detail. 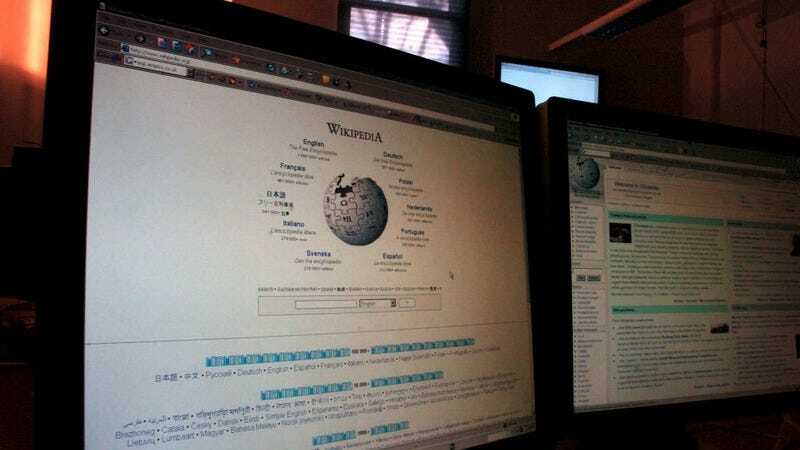 By 2006, around the 700th revision, Wikipedians monitoring the happiness page were battling near-daily vandalism to preserve a definition only slightly more developed than [the original]. The only meaningful additions at this point are a list of feelings associated with happiness, and a list of feelings not associated with it. Outright vandalism is easily reverted in a matter of minutes, but it takes months and an expert Wikipedian like DoctorW to remove one not-great line. This is part of what makes defining a subjective concept like “happiness” on Wikipedia more like a Socratic dialogue, and less like one person writing it alone. Many of Socrates’ debates end with total confusion—nobody really knows what to think about “virtue” or “piety” or whatever is being discussed. That is, the result may not be authoritative, but it does incorporate the views of everyone involved. As the piece details, the page received many further refinements and passionate defacements before arriving at its anodyne but impeccably Wikipedian 2017 form. Check the whole story out over at Quartz, especially if you’re a fan of Wiki Wormhole.